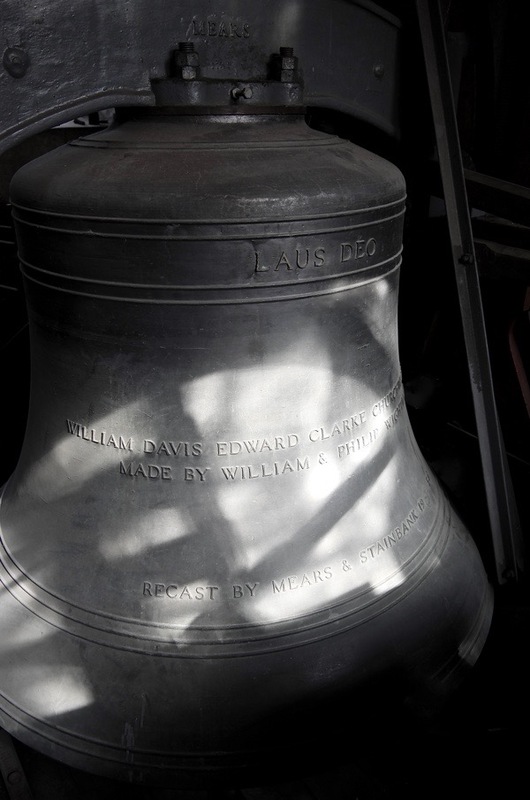 This is one of the oldest Whitechapel Bells still in use, cast by Robert Mott in 1588, the year of the Spanish Armada and also the year William Shakespeare arrived in London. 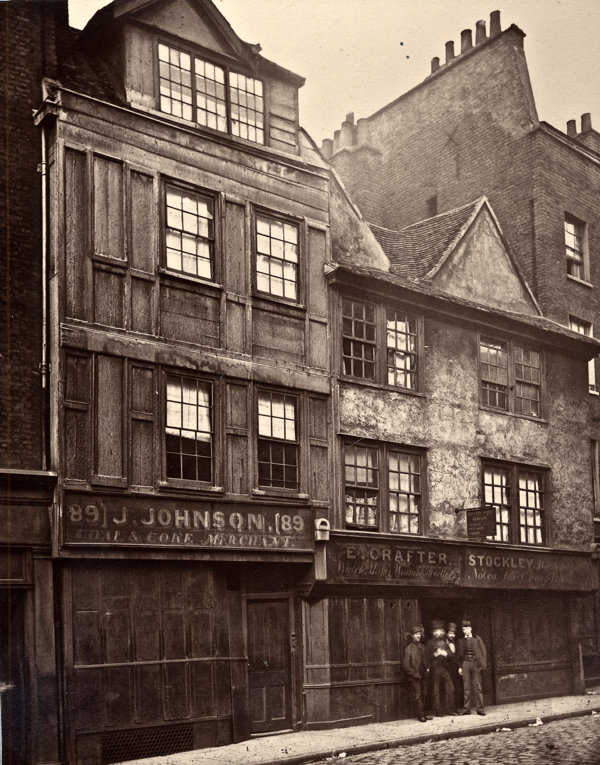 Yet, even though Robert Mott is remembered as the founder of the Whitechapel Bell Foundry in 1570, he did not begin the industry of founding in this location since bells are recorded as having been cast in Whitechapel as early as 1420. 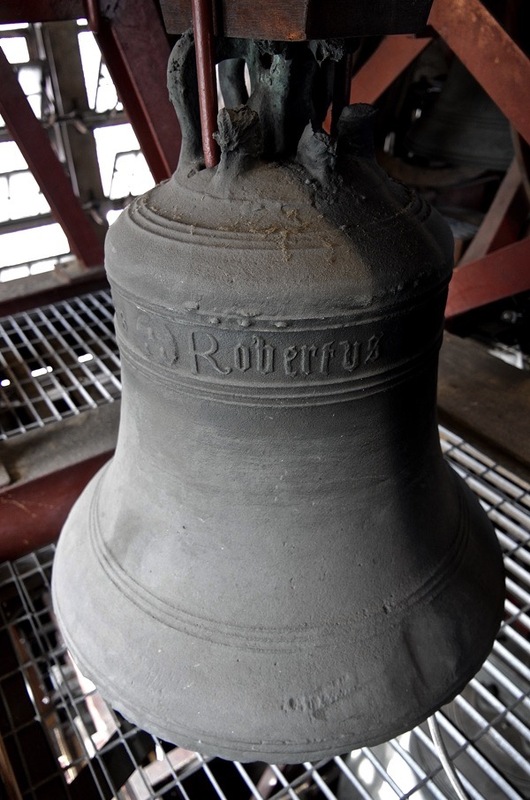 Adorned with the sparse text of ‘Robertus Mot me fecit,’ this bell declares its birth date of 1588 in delicate gothic numerals and indicates its origin through use of the symbol of three bells upon a disc – at the sign of the three bells – a maker’s mark which is still in use for bells made in Whitechapel to this day. 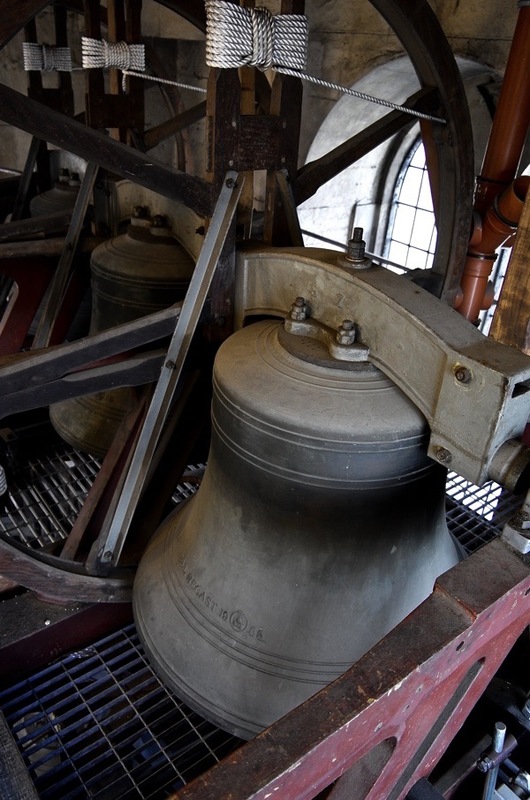 I climbed the tower of St Clement Danes in the Strand to photograph this bell for you this week and discovered it shares a common ancestry with its fellows in the belfry which were also cast at the Whitechapel Bell Foundry, but by Mears & Stainbank in 1958 – nearly four centuries later. Close examination reveals they also carry the symbol of the three bells. 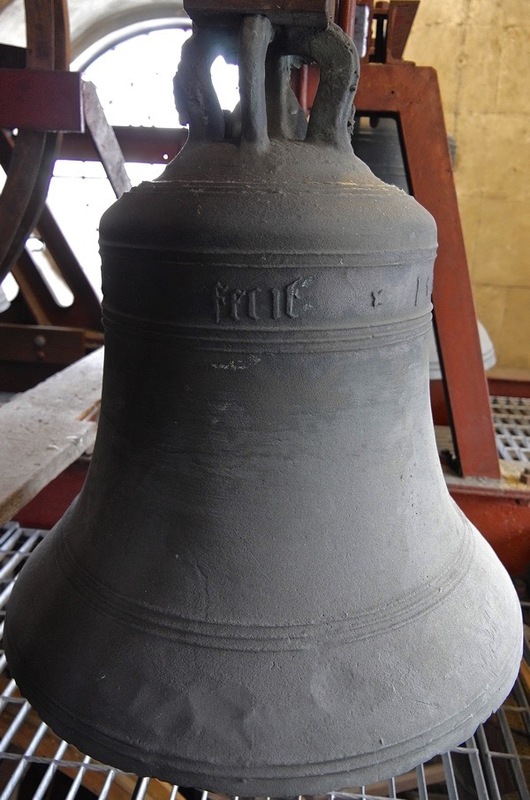 With a diameter of two feet and a weight of just over two hundredweight, Robert Mott’s bell is relatively modest in scale yet a dignified specimen nonetheless with its broken canons (the hoops that used to be attached to all bells to attach them to a beam) emphasising the exotic vulnerability of its age – as if it were a rare metal flower plucked roughly from a mythological tree, long extinct. 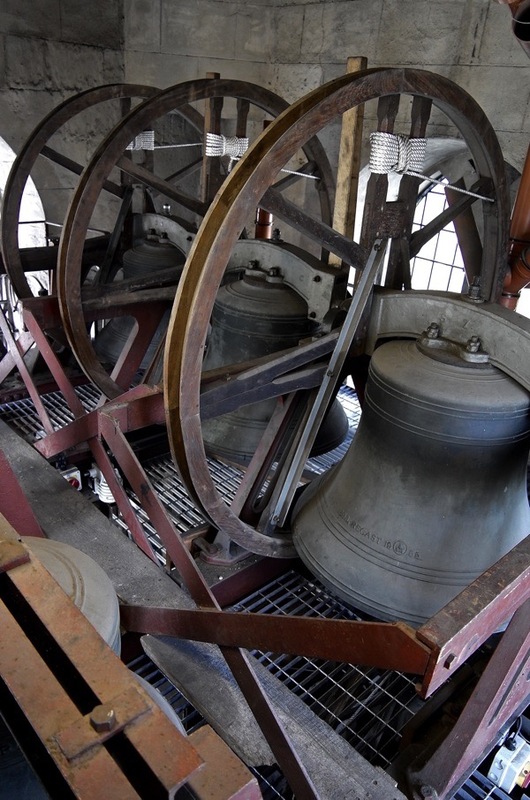 Today, the old Whitechapel bell rings the Angelus and may be heard by passersby in the Strand at 7:55am, 11:55am and 17:55pm. 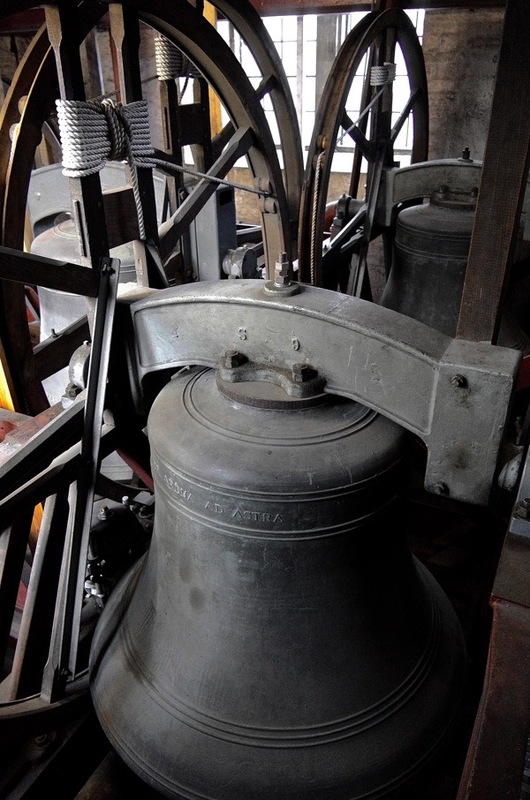 Its earlier function as the clock bell may be the reason the old bell has survived, since the other bells were removed by Rector William Pennington-Bickford during World War II for safe keeping at the base of the tower. St Clement Danes was established in 886 when Alfred the Great expelled the Danes from the City of London and they settled along the Strand. Escaping the Great Fire, the church was in a decayed state and considerably rebuilt by Christopher Wren in the sixteen-eighties, with a spire added by James Gibbs on top of the old bell tower in 1719. During the eighteenth century, St Clement’s acquired a literary congregation including local residents Samuel Johnson, Oliver Goldsmith and David Garrick but, by the nineteenth century, fashionable society had moved to the churches of the West End. 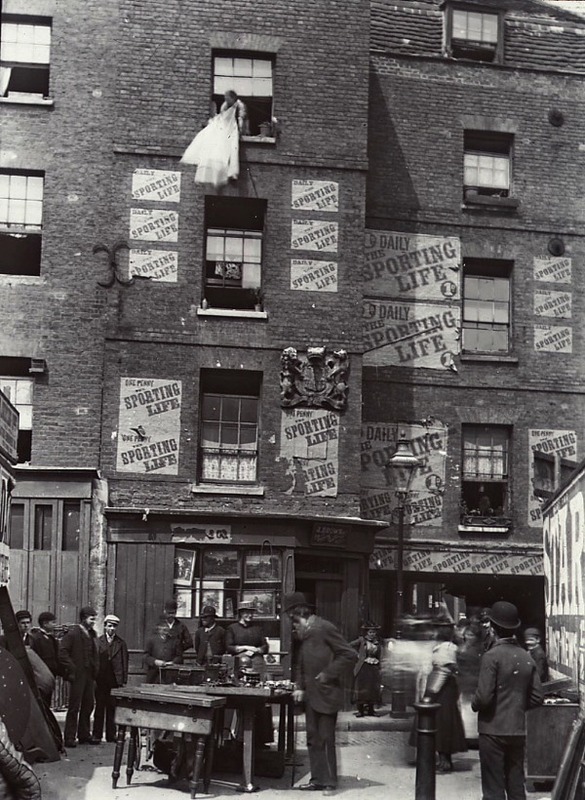 Septimus Pennington, Rector from 1889, set out to minister to the flower girls and street traders of Clare Market and Drury Lane, work continued by his successor and son-in-law, Rector William Pennington-Bickford in the early twentieth century. Unfortunately, Pennington-Bickford’s worst expectations were realised when St Clement’s was hit by more than twenty fire bombs on the night of 12th May 1941, reducing the church to a shell. Fearful that looters might steal the fire-damaged bells and melt them down, Pennington-Bickford had them bricked up in the Rector’s parlour and died from grief three months later, only to be followed by his wife who threw herself from a window shortly after. 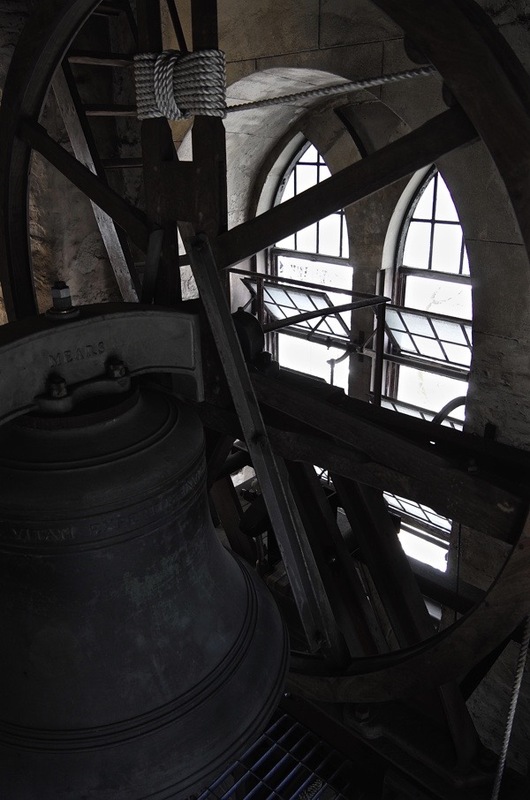 Yet through all this, Robert Mot’s bell was safe, hanging up in the bell tower. 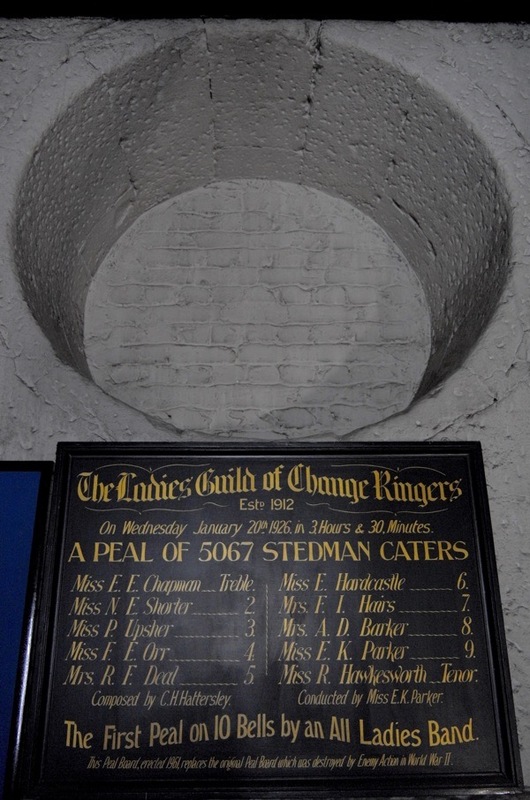 Postwar, St Clement’s was rebuilt again to Wren’s designs and the damaged bells recovered from the Rector’s parlour, recast in Whitechapel and rehung in the tower in 1958. Today, it is the church of the Royal Air Force. When I asked Alan Taylor, Bell Ringer at St Clement’s, his opinion of the sound of the old Whitechapel bell, he wrinkled up his nose in disapproval. ‘Bell founding was a bit hit-or-miss in those days,’ he informed me, shaking his head. 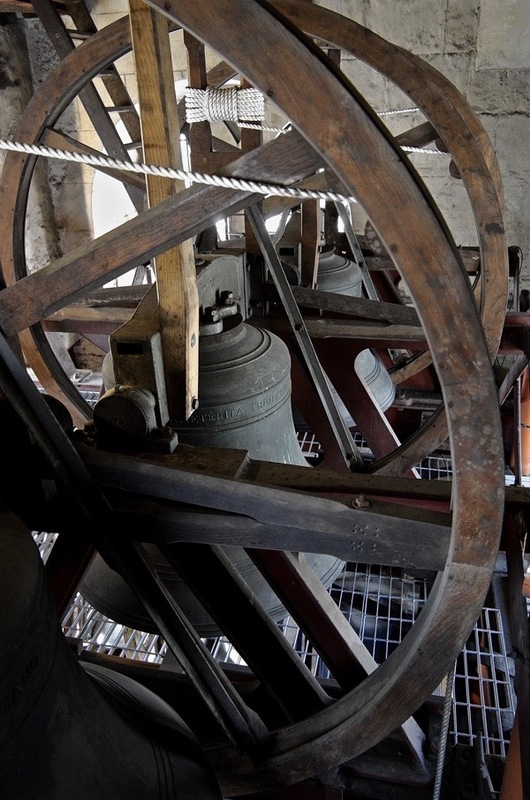 As the Sanctus Bell, Robert Mot’s bell was originally used to summon the congregation to prayer, but I imagine it could also have been rung at the time of the Spanish Armada. Ancient bells connect us to all those who heard them through the centuries and, given the date of 1588, this is one that William Shakespeare could have heard echoing down the street, when he walked the Strand as a newcomer to London, come to seek his destiny. Don’t forget the bell in St. Mary’s in Burlington ,N.J. USA and of course the Liberty Bell down river in Philly. Cheers. What a sad tale GA. And yet uplifting. A church I pass on the 341 every Tuesday. And never been in. Must correct that. 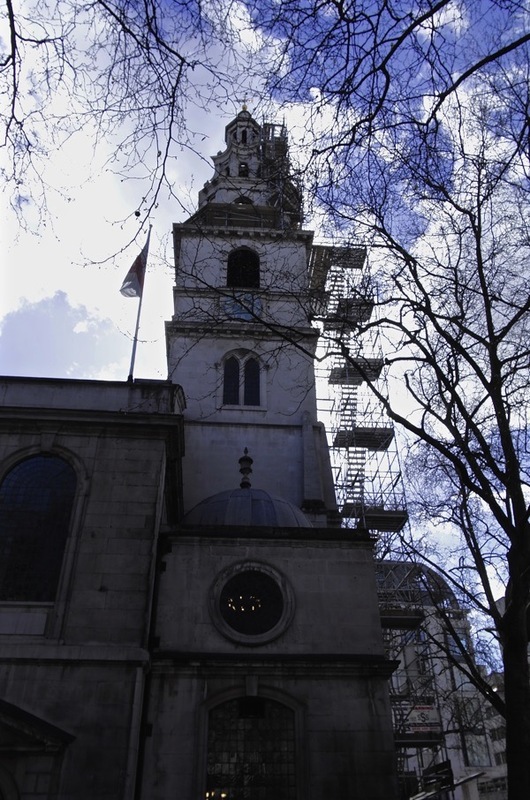 The bells of St Clement Danes rang for our wedding there in January 1972. Another great story from our treasured GA. This might explain Alan Taylor’s lack of enthusiasm. Perhaps it has always struck a slightly sour note. How many other Whitechapel bells would you find if you followed they rhyme? What a wonderfully informative and evocative post! Yes, imagine listening to a bell that has been heard by the great and the good for so many centuries. 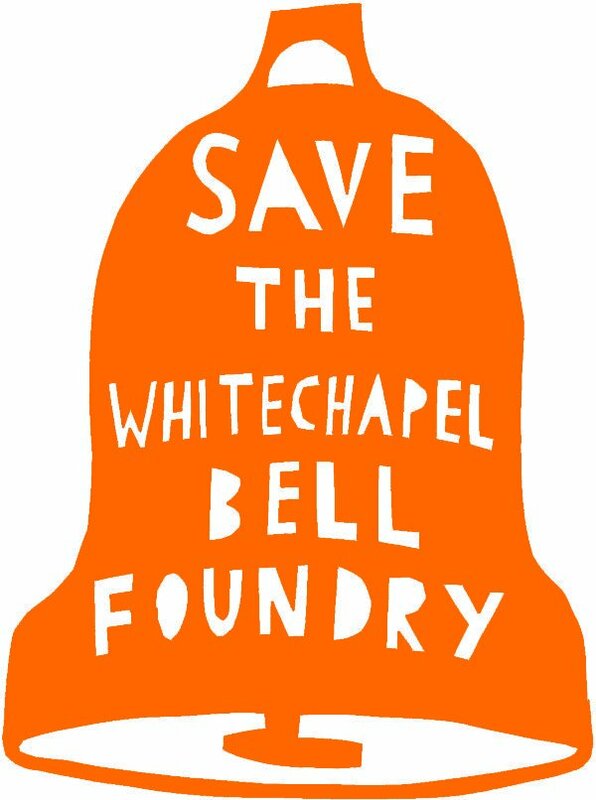 My heart stopped the day I saw “So Long, Whitechapel Bell Foundry” in my mailbox. I grew up within the sound of the bells of the Washington National Cathedral which were cast at Whitechapel in the middle of the last century. On my first visit to England, I made my way to the foundry where I was greeted most warmly by the staff. Years later I took my children there, too. All best luck to those working to preserve the foundry and its heritage. you will find recordings of these beautiful bells on YouTube. 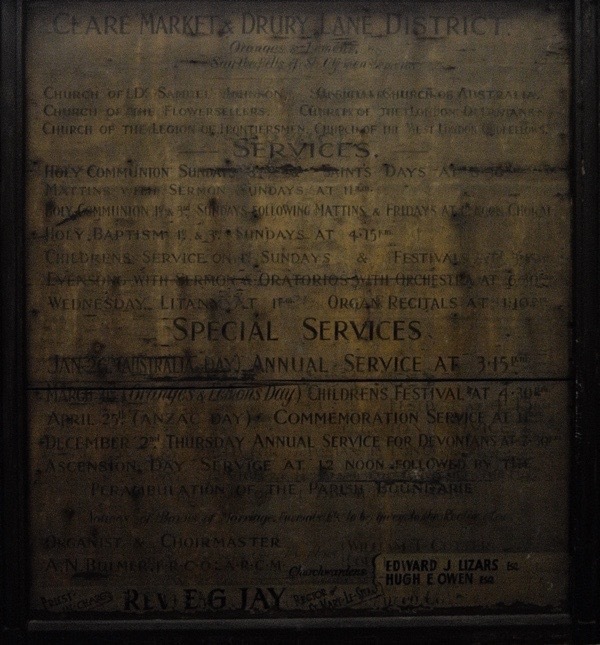 Including “Oranges and Lemons” which the Carillion plays on the bells every day at 0900 1200 1500 1800 and 2100. Each year in March, the annual Oranges and Lemons service is held at the church,. with the pupils of the church school in attendance and performing and singing the rhythm and dance that is part of the event. As they leave the church, each pupil is given a orange and a lemon.